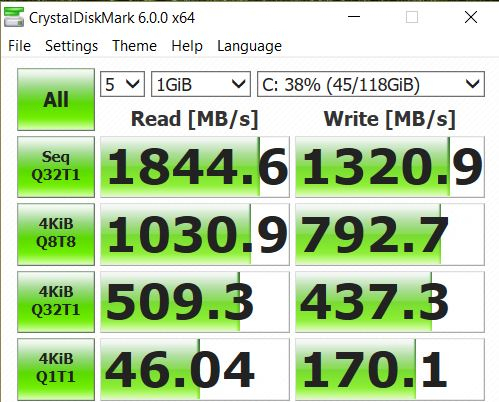 Discussion SATA III or NVMe M.2 SSD slot inside the Aspire E5-576G? SATA III or NVMe M.2 SSD slot inside the Aspire E5-576G? I wanna buy M.2 SSD but i don't know what kind of slot is inside the E5-576G. Is it NVMe or just SATA III? Most probably you can use a NVMe SSD but check this thread in the link below to find a PCI Express Root Port with a Maximum Link width of either 2x or 4x, you can find out using HWiNFO64 Free program, necessary details are in the link. So it's looks like i can use NVMe M.2 SSD. Thank you! One more question. Into this slot i can put SATA III SSD too right? Is it compatible backwards? im not sure with mine. You can install a M.2 NVMe SSD or a M.2 SATA SSD in your laptop, HWiNFO doesn't help in these models, so yes, you can install the SSD in the link you have posted. I have read all the previous posts and frankly speaking I have never seen a knowledgeable person like you in my whole life. I have read all the previous responses by you - Simply superb. What makes it amazing is your spontaneous response - Lightening Fast !!!! Please let us all more about you - Name, professional experience etc. 1. Let all of us know what factors in HWINFO64 determines if laptop is compatible with NVME or SATA M.2 ? 2. Is there any Article or website to get more understanding of the details we mention in screenshot for Bus, PCI. 3. 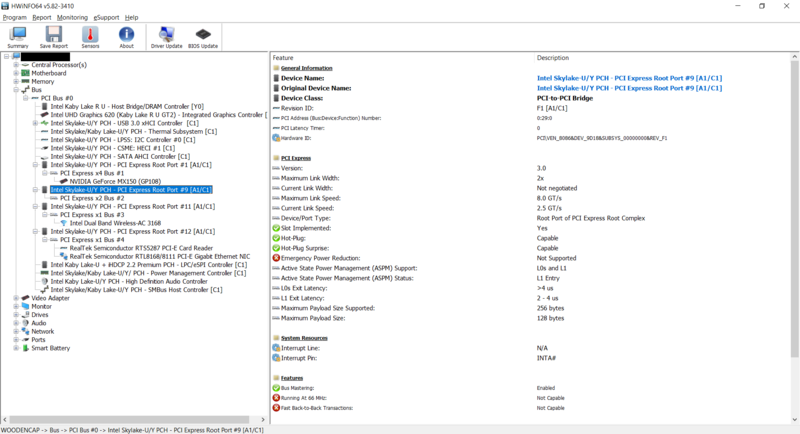 Can I use WD Black NVME SSD drive on my Acer A515-51 ? Thanks for your kind words, I am not a very bright student but read a lot and not afraid to ask questions. 1. As I have mentioned earlier HWiNFO doesn't provide the needed information to decide about NVMe support in this model but was helpful to find the Maximum Link width of PCI Express Root Ports in E series and F series laptops and few other models. Maximum Link width value denotes the lanes enabled for PCIe, for NVMe SSD to work, you need either 2 lanes or 4 lanes enabled for PCIe. 2. You can post any questions in the forum and the author Martin will be able to answer them. 3. Yes, you can use WD Black NVMe SSD but some members did have difficulties with WD drives, so do a bit research and decide on your purchase. 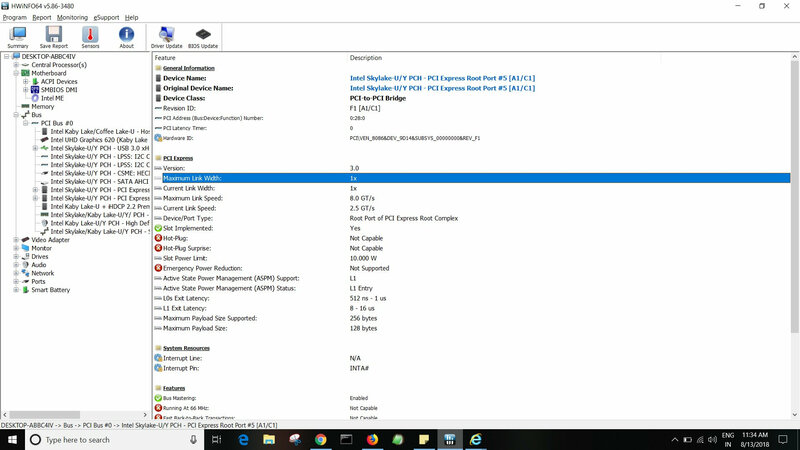 Thanks mate, One last question : How do we know if my Acer A series A515-51 is compatible with NVME SSD ? You are welcome I have this model and got a Samsung 960Evo installed, I have found out by experimenting with the M.2 NVMe ssd. You are welcome These are the benchmarks of SATA SSD and a NVMe SSD, the first being the SATA drive while the second is for NVMe drive. 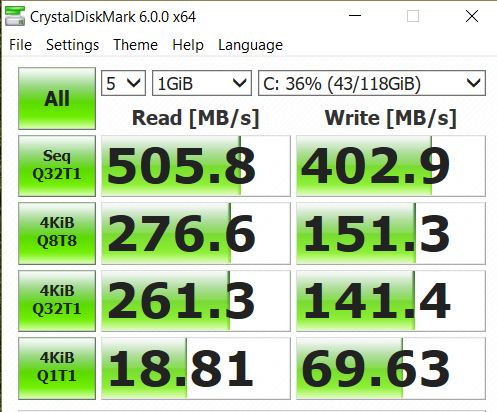 I can confirm the A515-51 takes the M.2 NVME because I own a A515-51-563W. Not the same exact model as yours but it has the same exact body. 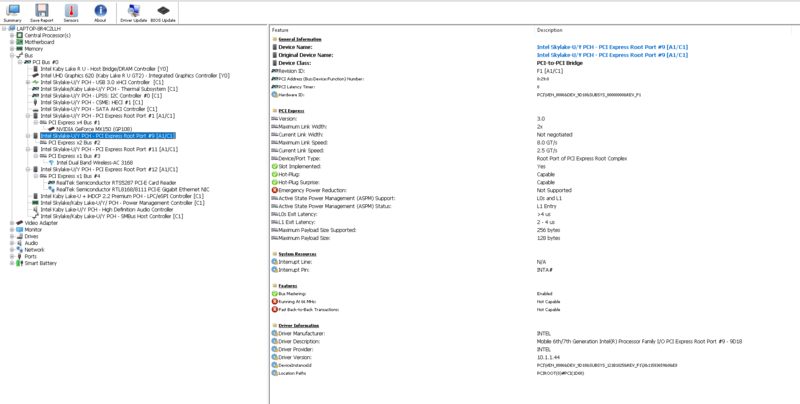 Before installing the M.2 NVME I also asked a lot of questions to confirm. The Acer documentation is very light on details but came here and brummyfan2 along with a few others were very helpful. Before installing the M.2 I was running Windows and my programs on the HDD was extremely disappointed. After installing the M.2 my machine runs great. One thing not mentioned which is a small detail but important. You need one M.2 screw to secure the M.2. Acer doesn't provide it and most M.2s don't come with the screw. They are tiny screws and easy to get lost so I bought two just in case I lost one. As for the M.2 I purchased. I got the Corsair Force MP300 M.2 2280 240GB on Newegg. The reason is I wanted an NVME but read a lot about heating issues. The documentation for the Corsair is the only NVME which extensively talking about being thermally optimized and dispersing heat. Yes you can but a heatsink and attach to the M.2. But I'm lazy and didn't want to deal with one more thing to do. I live in Florida and it's summer and watched the temperature of the Corsair M.2 very closely with CrystalDiskInfo. The highest temp it has ever gotten was 54 C. And usually stays in the low to mid 40s C. I believe the danger zone is 70 C so it's been running very cool. Thanks buddy for this extra bit for information. I will get an NVME for my A515-51. I hope that would make my i3 8th gen little faster. Brummyfan2 : Can we install any graphics card on this laptop ? I mean after installing SSD, do we still have any slot on motherboard for graphics card. Please suggest some non expensive graphics which would ofcourse be better than 620 UHD onboard card.